Resounding confirmation of the Aragonese nationalist character. In Aragon the autonomist debate had been in a completely volatile state since October 1918. Amongst the most important landmarks were the Regionalist Week and Assembly undertaken in Zaragoza (November and December 1919) and the Aragonese Assembly in Barcelona (December). From them emerged new opinions on the nature and reach of the Aragonese movement. The national character of Aragon and nationalist nature of the Aragonese movement have been gleaned from the History and background of Aragon as a people, reflected in its symbols, freedom and character, far away from its representatives' minoritary character when the text was written. This affirmation looked to inspire the course of action of the regionalist Assembly which was to take place in Zaragoza two days later. Aragonese nationalism. Gaspar Torrente. 5th December 1919. 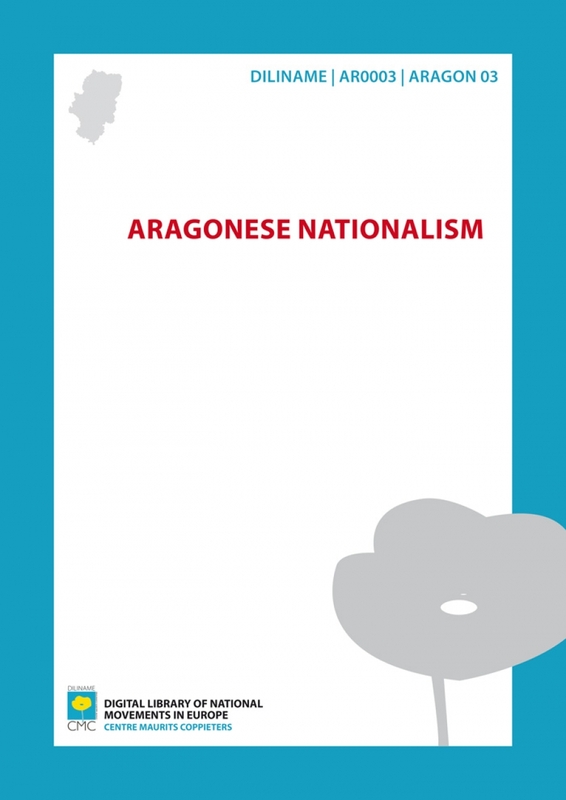 The existence of an Aragonese nationalist spirit is undeniable, in the same way that it is also undeniable that there are a people who have the surname Aragon and enjoy –although it may not be recognised– a well defined and individual personality. By looking at our very patriotic affirmation, there will be someone who will make an ironic gesture and will search in vain for the representation of Aragonese nationalism, because apparently, the manifestation of our national feeling would not appear anywhere, if it were not for the modern publications that we edit. It is really true; but let us not forget that we, the men of today are not the men who must make this representation from the collective personality. We have a History, the history of Aragon, and from this it is not difficult to see the affirmation of our character and the existence of our race. The Aragonese nationalist feeling is maintained and manifests itself as a living symbol, which is our flag, a barred flag, which the sons of our homeland have maintained and we will never tolerate that anyone ever abuses it. Carrying it unfurled across the seas, expanding its own liberating and civilising influence, respecting and observing the already established freedom, the Catalan flag and our barred standard in brotherly union, joined through intimate agreement; history does not remember anything like it. Aragon, as a free people, as an educated people, full of glory and wealth cannot, and must not hide in oblivion, it is necessary that it moves, gets inspiration, changes from its past lost freedom into the modern day one. At the time of writing this we find ourselves on the eve of the taking part in the regionalist Assembly which must resolve and pass judgement on all this, but whatever the Assembly agrees will not be valid if the Aragonese, all of us, do not take up what is agreed ourselves and unselfishly spread it and maintain it as a vocational doctrine. I repeat, our nationalist manifestation, is in our own spirit when declaring ourselves Aragonese by birth. Long live the freedom of Aragon! El Ebro, 5th December 1919; reproduced by Antonio Peiró, Bizén Pinilla: Nacionalismo y regionalismo en Aragón (1868-1942). Zaragoza, Unali, 1981, doc. 6, pp. 261-262; Gaspar Torrente: Cien años de nacionalismo aragonés. Textos políticos. Zaragoza, Rolde de Estudios Nacionalista Aragonés, 1988, núm. 10, pp. 68-69. Comments: The first article on nationalism from Gaspar Torrente, the main driving force behind Aragonese nationalism in the first half of the 20th century.